Precious little is known about the Northern Australia Infrastructure Facility’s appetite for risk. NAIF, the fund that administers $5 billion of taxpayers’ money and which is believed to be considering support for a coal-carting railway to service Adani’s Carmichael mine, has repeatedly refused requests by Senators to publish its Risk Appetite Statement. But at an industry presentation on 29 August a high-ranking NAIF official revealed the extreme risks it is prepared to accommodate when lending our money. At the Queensland Infrastructure Summit, NAIF Executive Director of Origination, Amanda Copping, took delegates through NAIF’s processes. The presentation shows NAIF being prepared to bend over backwards for inefficient businesses – and in doing so creep beyond its mandate. NAIF’s primary function under the Northern Australia Infrastructure Facility Act 2016, or NAIF Act, is ‘the construction of Northern Australia infrastructure’. At some point, this has been expanded to include the ‘material enhancement of economic infrastructure’. The verb ‘construct’ means to build. It does not mean refurbish. There are no words in the NAIF Act or Investment Mandate that suggest NAIF can lend to projects for the enhancement of existing infrastructure (presentation pp 7, 8, 10). Ms Copping’s presentation states that a project can incorporate ‘non-infrastructure components’ (pp 8, 10). Again, nothing in NAIF’s governing framework suggests this is permitted. Worryingly, NAIF promotes to applicants that the other 51% of debt for projects can come from public financiers, such as ‘export credit agencies or other such as government grants/loans’ (p 9). Any NAIF loan to Adani, would not be crowding in the private sector to any significant degree. 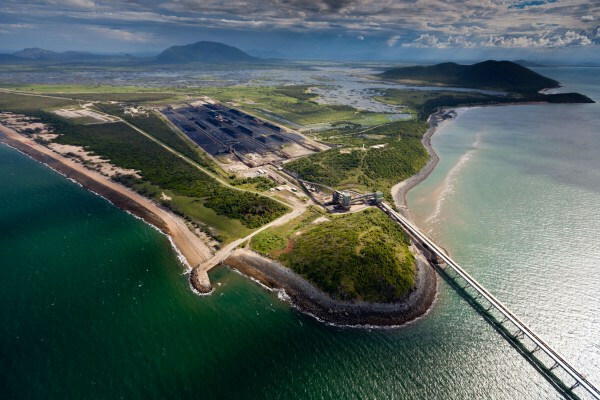 But financial analysis confirms NAIF, and Carmichael, will crowd out Adani’s competitors. NAIF’s Investment Mandate permits loan concessions such as ‘ranking lower than Commercial Financiers for cash flow purposes’ (s 10(2)(f)). This means for loan repayments, any cash coming in will go to pay off private financiers first. NAIF is ‘not limited to’ these concessions, but it is taking liberties. Function creep is evident. Ms Copping’s presentation posits that NAIF concessions ‘subordinated in security’ are possible. Such a concession for Adani would mean if the company that owns the Carmichael rail line (whatever company that is) goes bankrupt and the asset is sold, NAIF will only get repaid after other financiers. Interestingly, the presentation does not say the concession is limited to subordinating the security to commercial financiers. So it might be that Australian taxpayers will be in line to get their money back only after China and Korea’s export credit agencies are repaid. Perhaps the most concerning aspect of the presentation is NAIF’s extreme tolerance for risk. We are not surprised that ‘NAIF may allow interest capitalisation and interest only periods during ramp up before repayment’ (p 11) given the reference to ‘patient capital’ in the Minister’s second reading speech. But we are surprised (and concerned) that “NAIF may consider expected uncontracted revenue” presumably for the purposes of repayment (p 12). In other words, if Adani has buyers for some of its coal, NAIF might not rely on those contracts for repayment. This is troubling given NAIF’s 30 year loan terms, the structural decline of the seaborne thermal coal market and, as we said in our submission to the NAIF inquiry, that 30-year financial forecasts are ‘bound to be wrong’. Further, NAIF ‘may absorb [an] element of merchant risk where [there is an] uncertain pay back period’. This means if a purchaser of Adani’s coal cannot pay on time, or goes bankrupt, and Adani is relying on that transaction to pay NAIF back for its loan, NAIF will take that risk. These two factors exacerbate the risk to NAIF. Neither the NAIF Act, nor the Investment Mandate, expressly refer to these considerations. The Investment Mandate, the Minister’s direction to NAIF, says NAIF must take into account distance, remoteness and climate of Northern Australia in developing its Risk Appetite Statement (s 12(3)). There is no reference to the characteristics of the proponent’s customers. NAIF’s presentation outlines the extreme risks it is prepared to take with taxpayers’ money and the liberties it is taking under a loose governing framework. Next ProjectThe Safe Climate Transition Act: a new paradigm for climate action? Sign up here to receive air pollution and clean air updates.